surely we can work together too…. 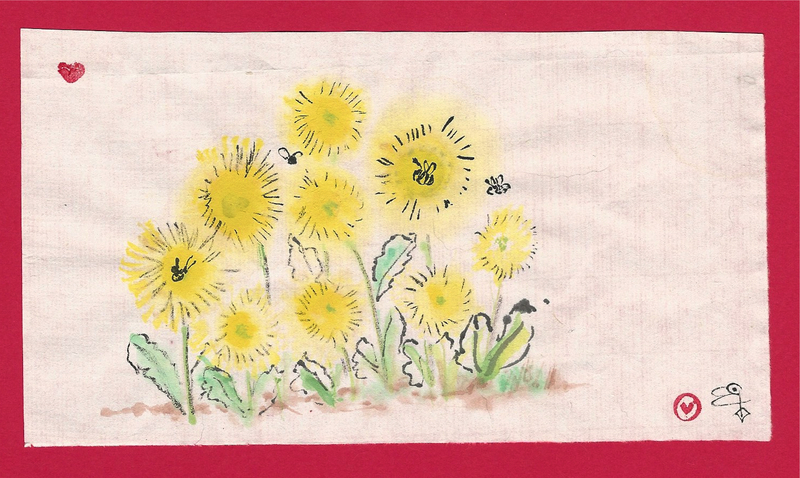 This entry was posted in The Now and tagged animal assisted chaplaincy, bees, blooming, brush painting, ink, ink brush painting, little painting, nature, partnerships, small yellow wildflowers, watercolor, working together. Bookmark the permalink. So sweet and love that you are playing with color.